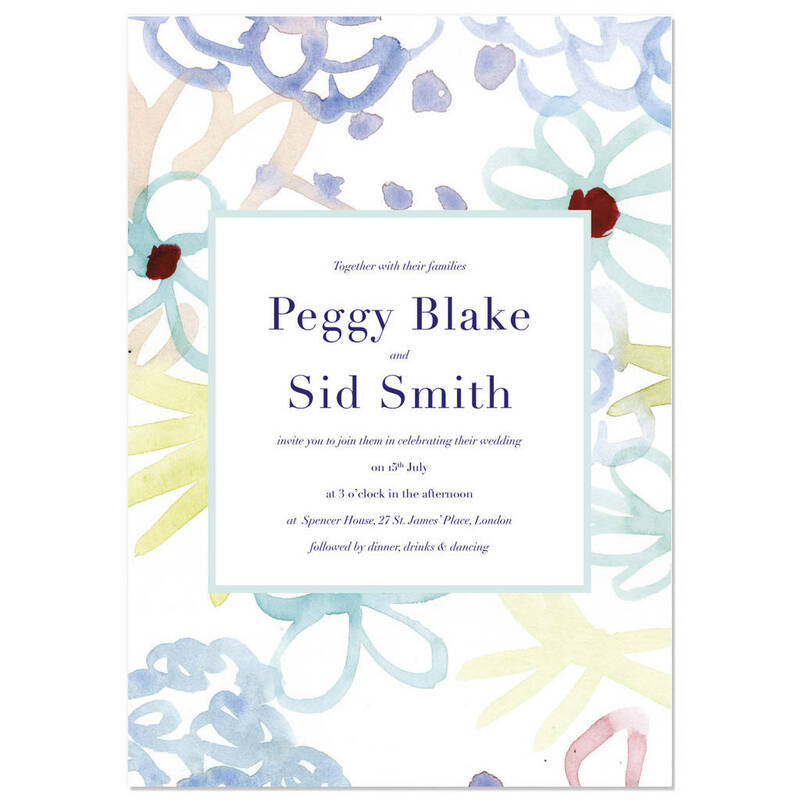 The Chelsea wedding invitation featuring a loosely brushed and bold floral background design in pastel coloured watercolour paints and a traditional style font. 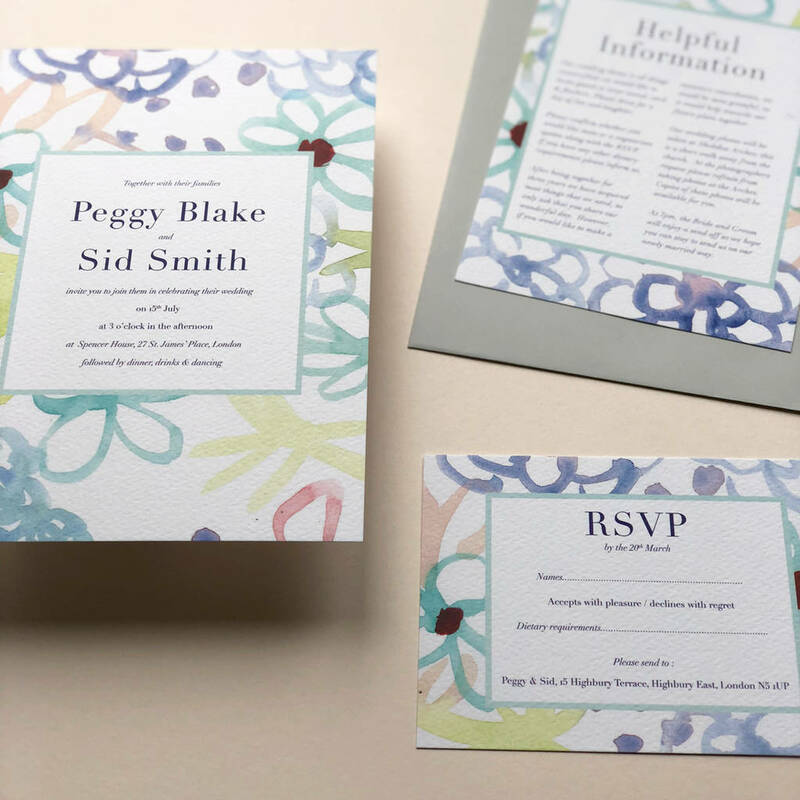 Please note this is a listing for a NON PERSONALISED wedding invite SAMPLE from Hollyhock Lane for you to be able to see and feel the printing quality, weight and texture of the product of our wedding stationery before placing an order for your personalised stationery. When ordering actual invites with your chosen wording, an electronic PDF proof will be sent for your approval. All of our invite samples are digitally printed in the UK onto slightly textured Italian gesso, 300gsm FSC approved card. This product is dispatched to you by Hollyhock Lane.